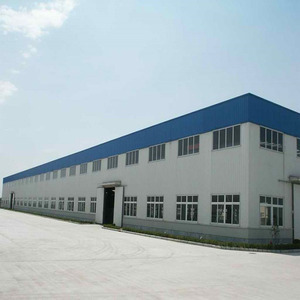 Jiangsu Keeboss Steel Structure Co., Ltd.
For steel panel, white and blue is normal. Qingdao port, shandong province main product. Our company is a diversified and large group that is focused on steel structure as the core industries. Communication We have professional communication team who can communicate with you in English very smoothly. Packing We will mark unique number in each material and we will send the installation drawing with same numbers to you. is an enterprise specialized in steel structure material and projects, and is well-known both at home and abroad. We are top3 of the biggest and earliest steel structure product exporter and manufacture in North of China . Product Capacity : 2000 TON per mouth Service : we could provide you designing , production , installation service any time . strapped with steel strips to prevent damage from transportation , Or as customized. 2. Established for more than ten years, our company has got a various of experiences in design, manufacture, installation and so on. 4. Besides manufacture according to customers' requirements, we also established a set of production standards. We have attained the prestige of being recognized as a largest and leading steel fabrication company in China. 2 the plasticity and toughness of the steel are good. - The Ultrasonic testing equipment for regular testing and calibration. - The after-sales service to customer satisfied. 3. Fast construction and easy installation : time saving and labor saving . Q3. Do you offer service for installation9 A: We will give detailed installation drawings and video for free. And if you need, we could send engineers as installation director even a team. 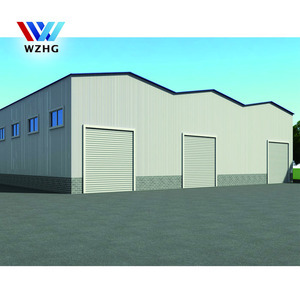 Customized or factory design hangar and garage also can do. , Ltd is the branch office of Qingdao Rui Gang Heavy Industries Co., Ltd . 2.Experienced and professional engineers and workman. 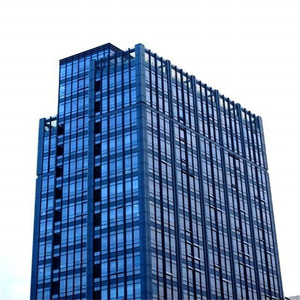 Hwarrior Curtain Wall & Decoration Engineering (Guangdong) Co., Ltd.
3. Reusale, and Easy to intall and dismantle: usually, one worker could install 20-30 square meters per day, six workers could work out 3K*10K houses in two days. 5. 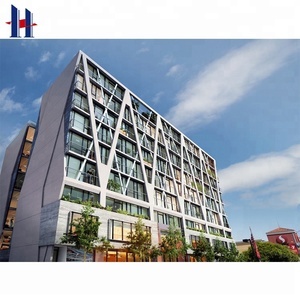 Hot Galvanised&hellip; 6.Flexible composition: Doors and Windows could be installed at any positions,Separate Walls could be built at any transverse axis. 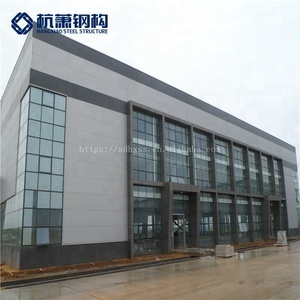 Company and factory is located in Guangzhou Baiyun China, we are one of the earliest curtian wall company & factory, which got the design ,fabrication and installation cetificate . Meanwhile, we also will supply technical support during installation and after-sale service. 3. If needed, we could send our engineer to help you on the installation. Crane parameter If need crane beam, crane tons parameter and lift height are needed Drawing 1. according to clients' drawing 2. design as per clients' dimension and requests Package Naked loaded in shipping container or as per requests. 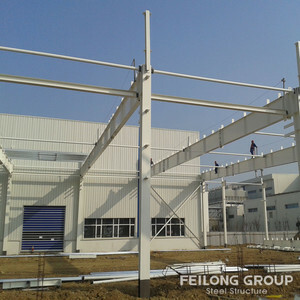 Jiangsu New Blue Sky Steel Structure Co., Ltd. Paint: 1. Primer paint one coat 20-30 um. 2. Middle paint two coat 40-60 um. 3. Finish paint one coat 20-30 um. 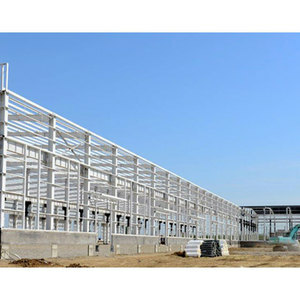 Heilongjiang Zhongjie Coated Steel Co., Ltd.
Alibaba.com offers 4,914 steel structure shopping mall products. About 19% of these are steel structures, 12% are prefab houses, and 2% are warehouses. A wide variety of steel structure shopping mall options are available to you, such as aisi, gb, and astm. You can also choose from free samples. 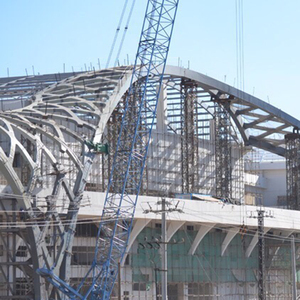 There are 4,842 steel structure shopping mall suppliers, mainly located in Asia. 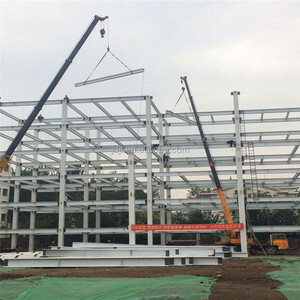 The top supplying countries are China (Mainland), Taiwan, and India, which supply 99%, 1%, and 1% of steel structure shopping mall respectively. 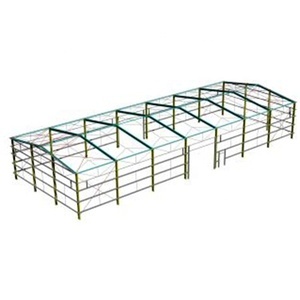 Steel structure shopping mall products are most popular in Domestic Market, Mid East, and North America. You can ensure product safety by selecting from certified suppliers, including 2,085 with ISO9001, 858 with Other, and 495 with ISO14001 certification.